Hey, there's also exotic Orlando! ... and... Saskatoon? We made a run to Fermont for beer last night to hold us over in Churchill Falls. Not a bad little selection of Quebec craft beer and gin. 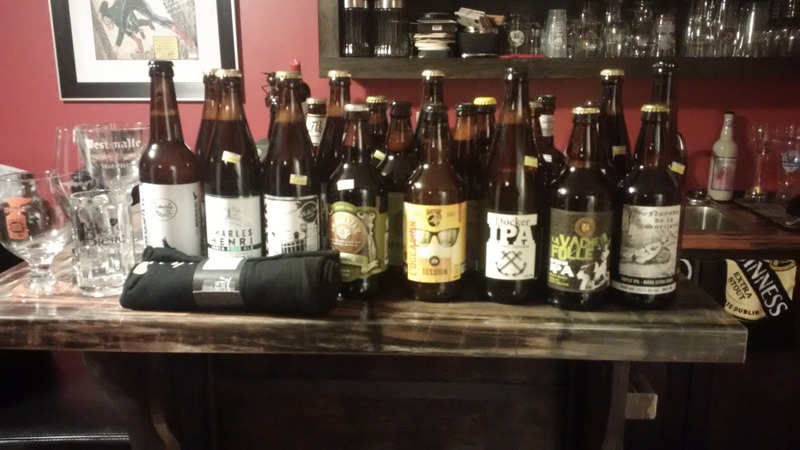 22 beer, 4 glasses (including Mondial tasting glass) and t-shirt (DDC Peche Mortel) brought back from Montreal. Realise picture is a bit blurry and you can't see a number of beer in back row but I mostly picked up small Quebec brewery American IPAs, ISAs and APAs because that's what I enjoy drinking the most right now Appreciate that, by many people's standards, Mondial isn't the biggest or the best Canadian beer festival but the end to end Montreal experience (people, food, pubs, atmosphere) really works for me...already planning next year's trip (Mondial's 25th anniversary). Last edited by adrianbarnescom on Mon Jun 19, 2017 6:47 pm, edited 1 time in total. Did you have fun at Mondial? beerthief wrote: ↑Mon Jun 19, 2017 6:15 pm Did you have fun at Mondial? Yeah, this was the second time I've been at Mondial and both experiences have been top notch...planning on going next year as well. Cool, I volunteered and poured there a couple of years ago, that was fun. I guess no-one travels anymore as there have been no updates here for ages. The missus & I just got back from a trip to DC, Dogfish Head and NYC. 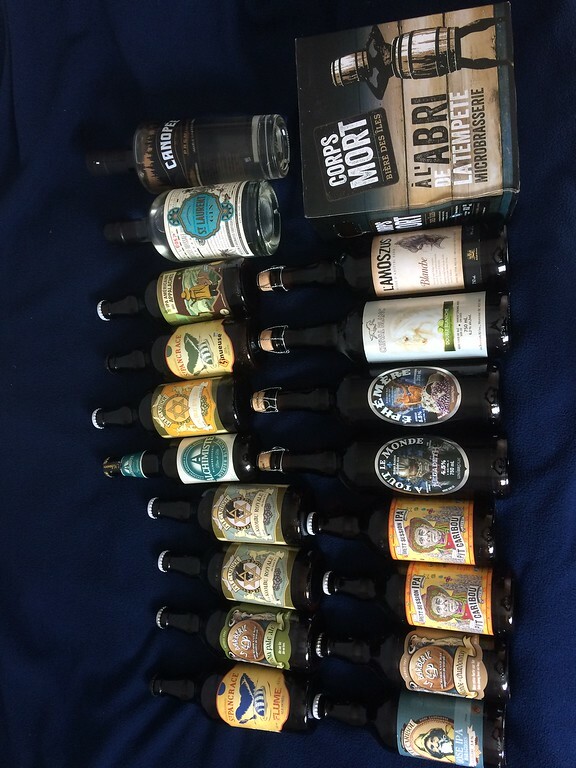 We found a lot of good beer and brought a little selection home. 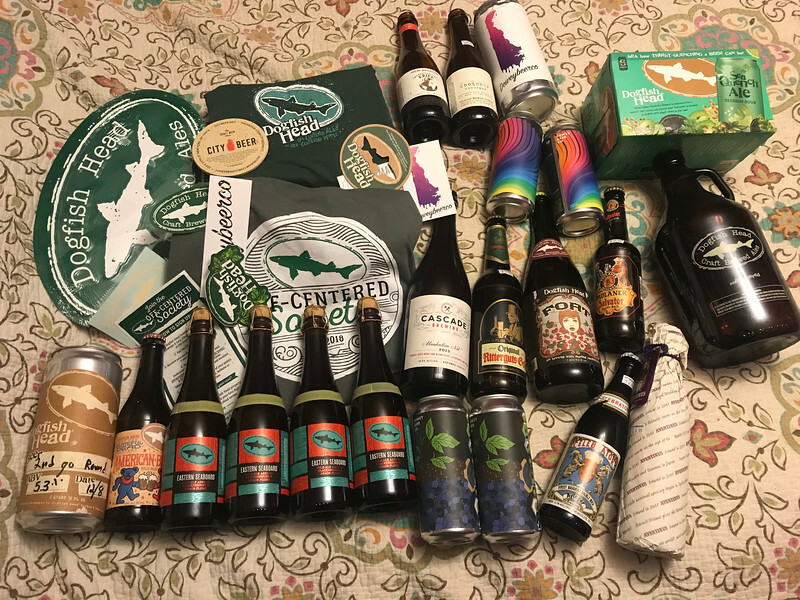 We joined the Offcentered Society at Dogfish and booked the Inn for an event the hold in March so we’re going back. A few dopplebocks to do a tasting with Dave at Scudrunner and a couple of empty American lambics for my bottle collection. And of course a little shed art. We totally lucked into being there for a bottle release so we grabbed a few of those and were there in time to catch wind of 2008 Forte being on sale at the brewery too.